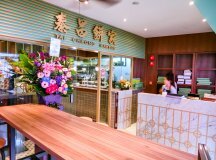 Tai Cheong Bakery Cha Chaan Teng Opens @ Holland Village! We are big fans of Tai Cheong Bakery. They have some really really delicious egg tarts, probably the second most delicious egg tarts that we have ever tried – when eaten piping hot. 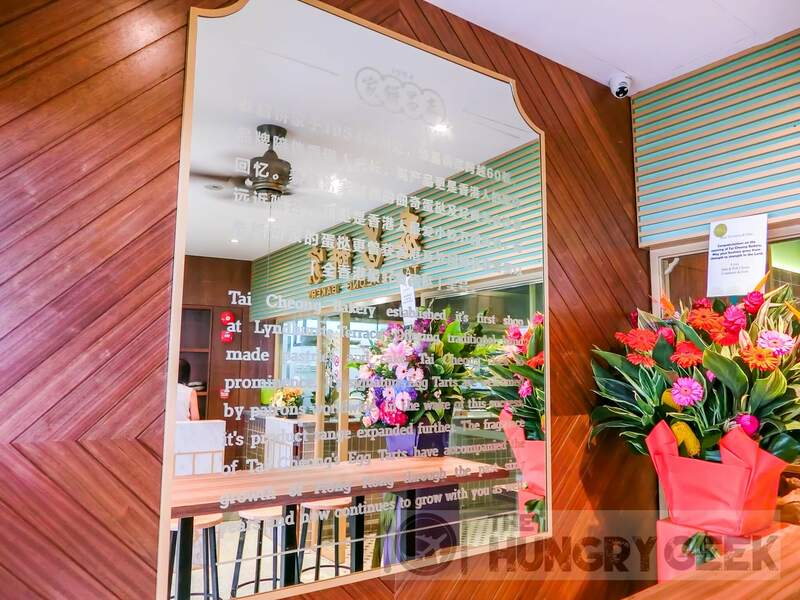 When we found out that there was going to be a full service Tai Cheong Bakery cha chaan teng at Holland Village, we were seriously excited. 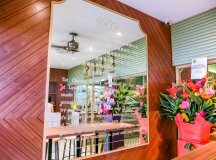 A cha chaan teng is a type of low-priced restaurant found in Hong Kong with particular types of food. As far as we knew the Tai Cheong Bakery that we were familiar with did not have a cha chaan teng in Hong Kong. So we were a bit sceptical at first. However, the quality of food here literally blew us away. 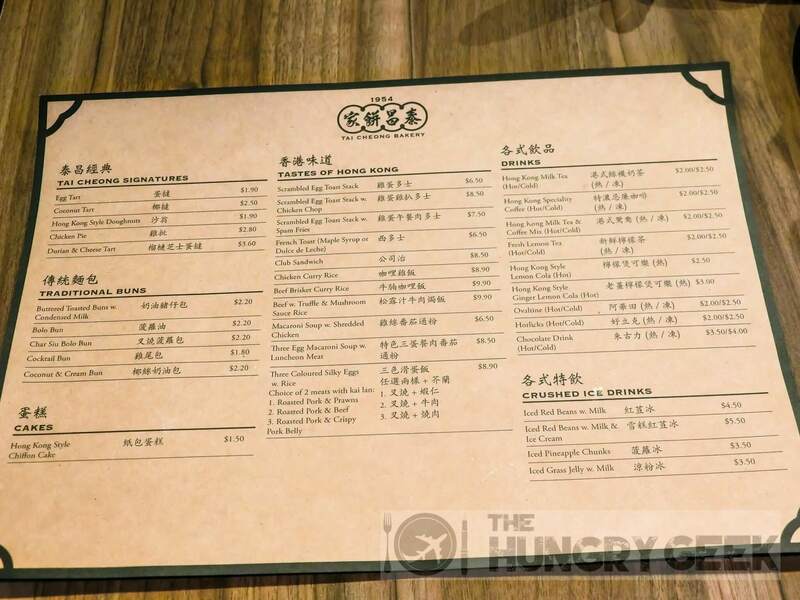 We tried some classic Hong Kong cha chaan teng favourites that were really fantastic, and we even tried one really delicious dish that we had never seen before. We visited the Tai Cheong Bakery cha chaan teng on its opening launch day. It was a weekday night, and we must say we were pretty lucky. We did not need to wait for a table. However, there was a monstrous long queue line for their takeaways. We even experienced a blackout! They were not able to get their cash register up for a while, so they ended up waiving our bill. You will need some patience if you go to a brand new restaurant anywhere in the world, and it was no different here. There were quite a few teething issues that we noticed, and even the couple beside us got pretty angry at one mistake. Unfortunately we were not able to try everything that we wanted to try that night, so we went down again the following morning just before their opening at 8:30am. We were shockingly told that their full menu would only be available from 11am, while only certain pastries would be available before that. We were told that this would be a temporary arrangement until they figure the kitchen out. So we left and came back the following day for lunch. This time, there was a queue number system on an iPad, and we were told that there would be a 1-2 hour wait for our table. Like seriously. Many sobs. We trust that by the time you are reading this, everything should have (more or less) been fixed. One of the classic cha chaan teng food that we really enjoyed in Hong Kong was their scrambled eggs on toast. 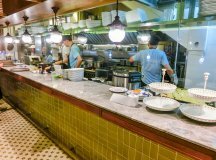 We actually found the most delicious scrambled eggs on Earth at one really delicious cha chaan teng in Hong Kong. We were stoked when we found this item on the menu at the Tai Cheong Bakery cha chaan teng! We decided to order the one with spam fries because well, spam fries. These are luncheon meat fries and I think we can all agree that luncheon meat fries have to be delicious. The scrambled eggs did not disappoint. They were fluffy, smooth and creamy, with a really dreamy and delicious buttery-milk-egg fragrance. We loved it. We found the scrambled eggs to be very similar to the one at the super famous Capital Cafe in Hong Kong. We rate this 4.3/5 – this is probably the most delicious scrambled eggs that we have ever tried in Singapore. Unfortunately for us, the spam fries, while being really delicious on its own, did not really go very well with the scrambled eggs. The salty luncheon meat affects the taste of the scrambled eggs in a way that detracts from its monstrous deliciousness. When we are talking about perfection, even the slightest tweak that isn’t done right will pull it down. So if you do order the spam fries or the chicken chop with the scrambled egg toast stack, be sure to consume the extras separately. The normal scrambled egg toast stack goes for S$6.50, the one with chicken chop S$8.50, and the one with spam fries S$7.50. This is not something that we would normally order and we did not see something like this in Hong Kong. But our curiosity was peaked and the wait staff gave this dish a glowing recommendation. Basically this is super smooth omelette with kai lan and your choice of meat, on top of the most fragrant rice that I have tried in Singapore. We chose the roasted pork (char siew) with crispy pork belly. This is not the type of char siew that you will find in Singapore or Hong Kong. They actually emulated the super delicious Malaysian Kuala Lumpur-style char siew! It is darker and we found the sauce and fragrance really out of this world. We really loved the silky smooth omelette and I personally thought that the rice was incredibly delicious as well – it reminded me of the particular type of rice that I had in China – much more delicious than the Thai rice that we usually find in Singapore. Sheryn did find the rice to be normal, so I can’t be sure here. Perhaps the copious amounts of silky egg covering the rice for an extended period infused it with something special. That said, we really loved this incredible dish and we give it a 4.3/5. These are some really high ratings that we don’t usually give out, but we must say that the food at the Tai Cheong Bakery cha chaan teng has really impressed us. This dish goes for S$8.90. The milk tea in Hong Kong is slightly different from the usual Singapore iterations. The tea fragrance is stronger, with lesser emphasis on the milk. 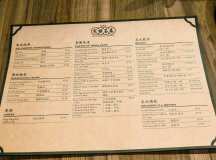 For this it is a matter of taste – while we found Tai Cheong’s effort here pretty good, it was not very near the famous Hong Kong milk tea at Lan Fong Yuen. We give the milk tea 4/5 and it is priced at S$2.50 for the cold version and S$2 for the hot version. The hot lemon cola is something that you would rarely find in Singapore as well. This is basically hot coke with a slice of lemon. And it tastes great! I’m surprised that this drink is not more commonly available in Singapore. This is refreshing with a nice caffeine and sugar kick. If you are looking to kick start your day and you are tired of coffee or tea, hot lemon cola is a legit choice to wake you up. We rate this 4.2/5 and it costs S$2.50. They also have a nice ginger lemon cola version that goes for S$3. 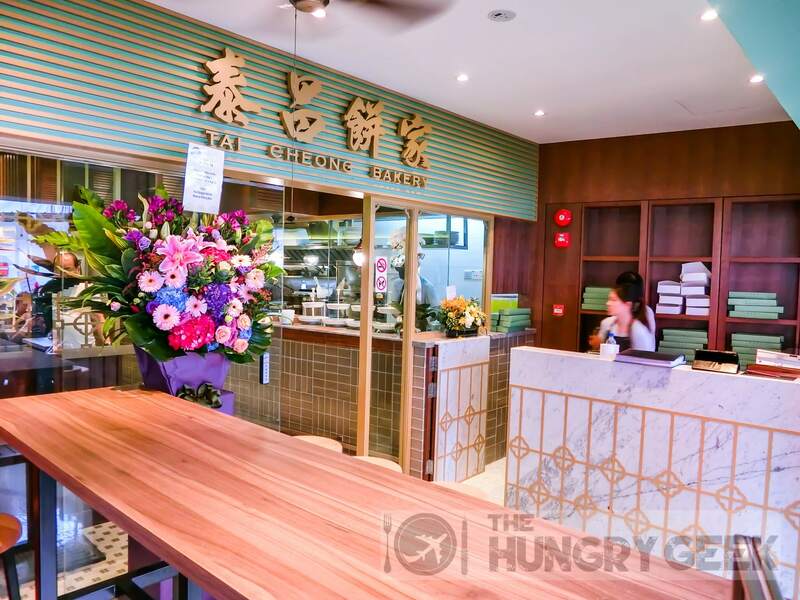 We did some research on Tai Cheong’s foray in Singapore, and we discovered that Tai Cheong was bought over in 2007 by Tao Heung Group, a restaurant group based in Hong Kong. Tao Heung operates 164 restaurants and bakery shops in Hong Kong and China, and they sent down some very good chefs from Hong Kong to create the menu at the Tai Cheong Bakery cha chaan teng. Hence, we finally have some very delicious Hong Kong food in Singapore. Come, eat and be merry. Tai Cheong Bakery Singapore – Egg Tarts have returned to Takashimaya! In "Singapore Small Bites"
Tai Cheong Bakery 泰昌餅家 In "Hong Kong Small Bites"